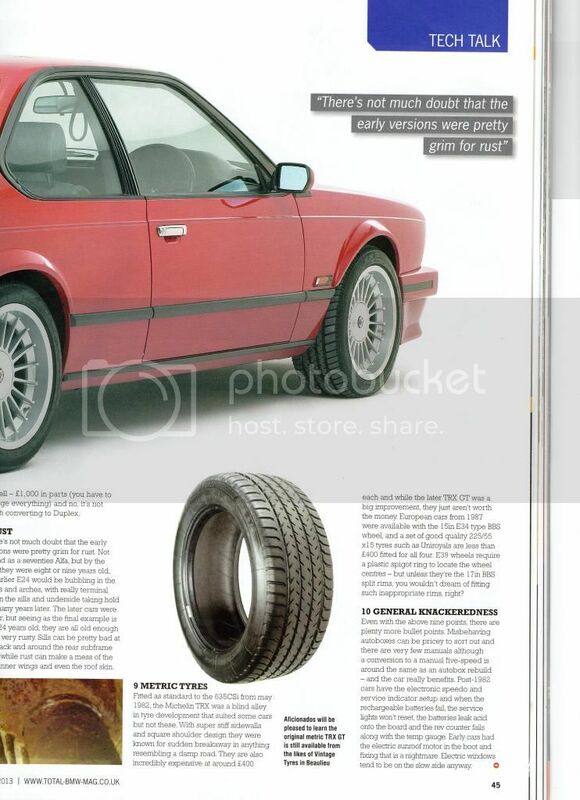 Long article in current issue of Total BMW. Some anomalies but mostly correct. Last edited by ron on Sun Apr 21, 2013 2:26 pm, edited 2 times in total. Looks interesting! Any way those of us on the left side of the pond could get a copy of the article? 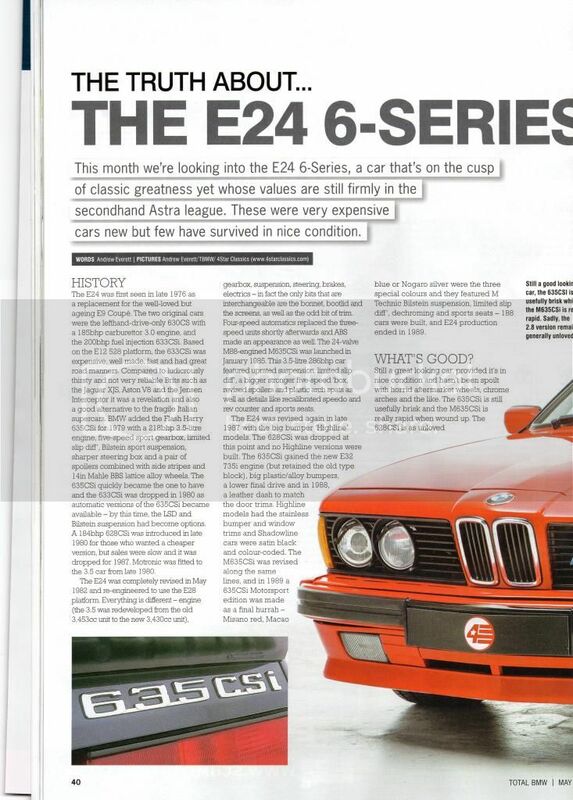 Re: E24 article in Total BMW May 2013.
ron wrote: Long article in current issue of Total BMW. Some anomalies but mostly correct. PTFunk wrote: Looks interesting! Any way those of us on the left side of the pond could get a copy of the article? Not as good as the Andy Scott E24 Survival Guide. Thanks, Ron - you da MAN! 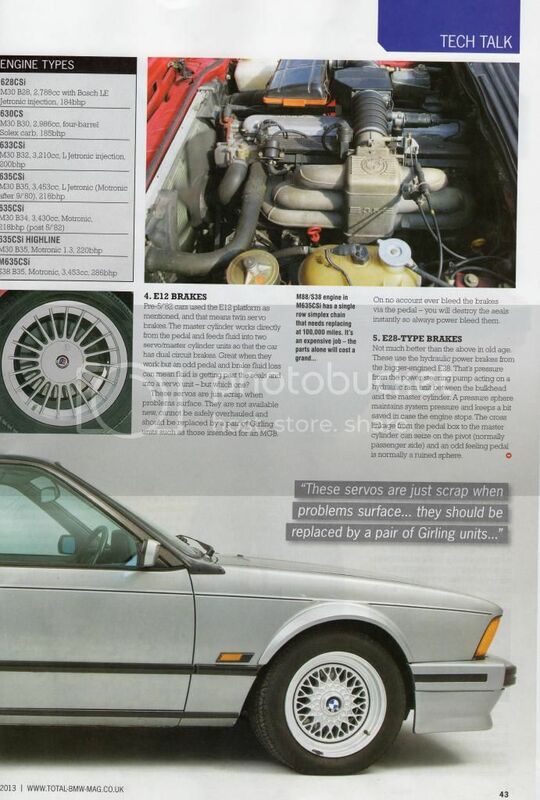 Article says speedo was recalibrated for M635, is this right? 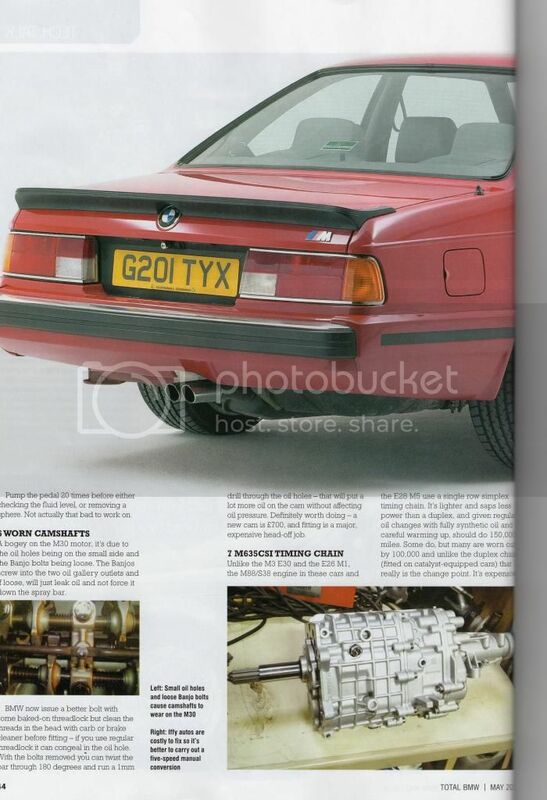 It looks the same as any other E28-based six to me, and obviously gets its signal from the diff in the same way. 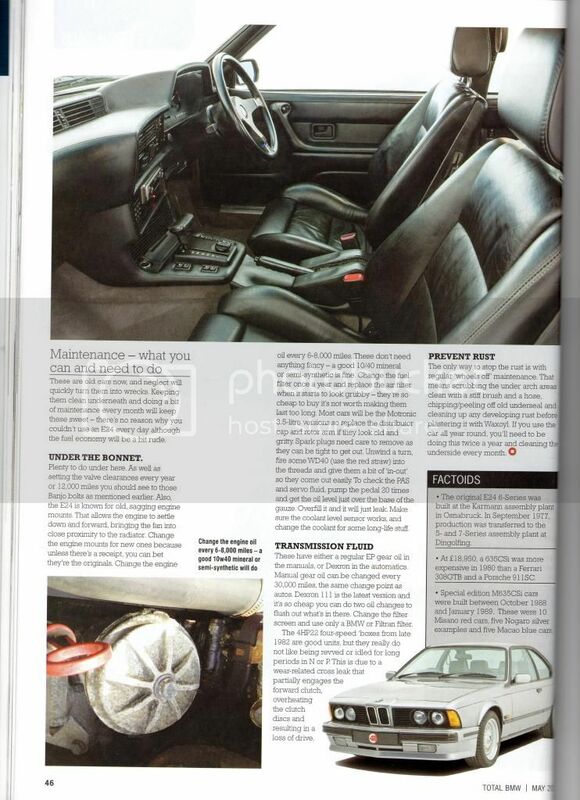 wattsmonkey wrote: Article says speedo was recalibrated for M635, is this right? 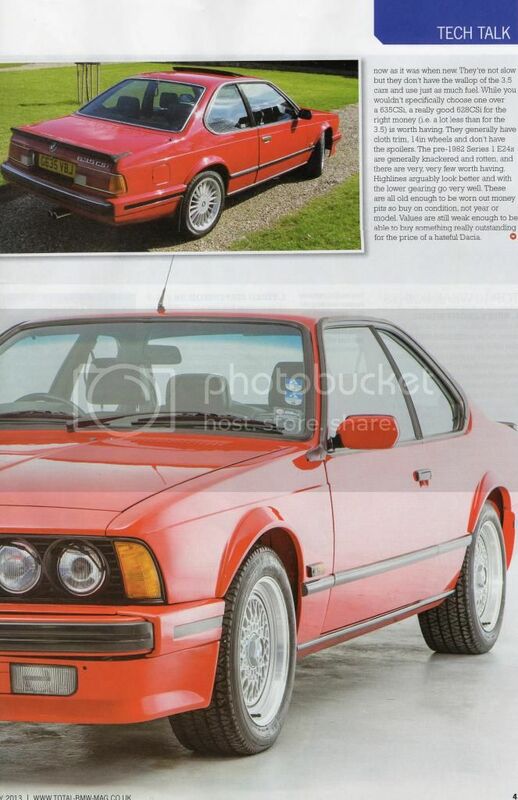 It looks the same as any other E28-based six to me, and obviously gets its signal from the diff in the same way. Are these pages still available? I'm not seeing see the images above. Same here....just goes to Photobucket first page. I can forward them to you unless I'm ok to upload them to photobucket or similar? Thanks for re-posting the article. I was looking for my original scanned pages but seem to have lost them! 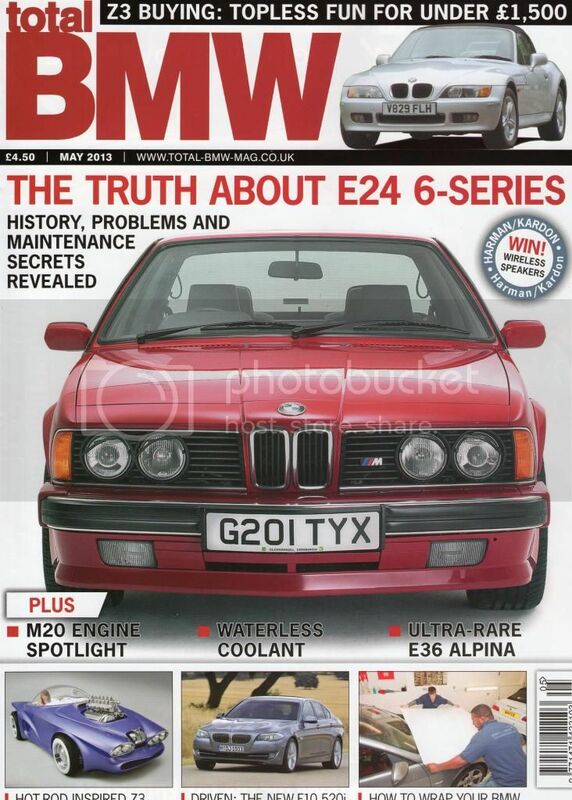 FYI Total BMW magazine has gone to the wall.I have the complete run of issues if anyone is interested in buying them. Will need to be collected. ....'twas only a matter of time. Awesome read! Thanks for posting. the attachments and links are all gone. could some1 kindly post it again here? zib635 wrote: the attachments and links are all gone. could some1 kindly post it again here? PM sent. I don't know if Photobucket keeps pulling them down, or those that had posted the links to Photobucket deleted them. I have them saved, and can be had for an email. PM me your email address and I'll send them along. Last edited by cornershop on Tue Oct 08, 2013 6:39 am, edited 1 time in total. Thanx to everyone that had a hand in posting this info! That explains why I haven't been able to buy a copy for the last x months! 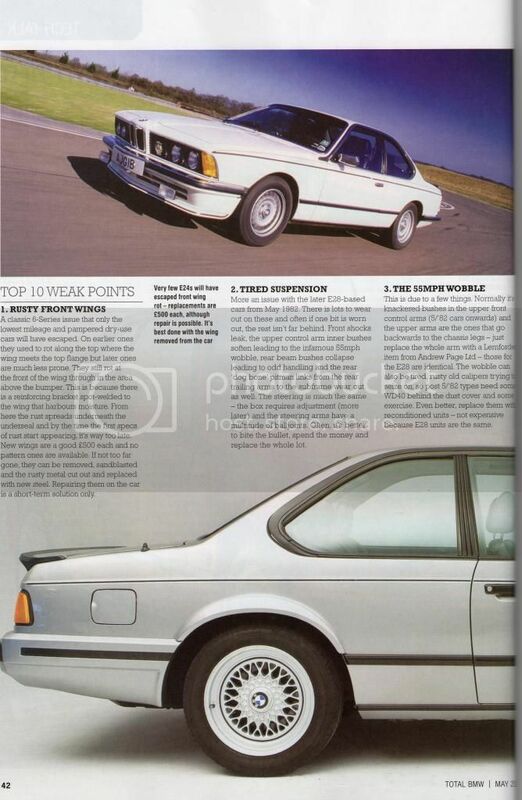 Defo favourite BMW mag, in fact I might never have bought my first M535i without Andrew Everett's buying guide back in the day!